All week we featured the points battle between the Eli Tomac and Ryan Dungey. Last weekend in Salt Lake City, Tomac put together one of the most incredible comeback rides in Monster Energy Supercross history to put the stamp on his 29-point comeback in the championship. With wins in nine of the last 12 races, he looked to be unstoppable. It was do or die for Dungey this weekend in East Rutherford, New Jersey, as anything more than a three-point deficit would be hard to overcome with the way Tomac was riding. He came through with a perfect day as far as the results are concerned. 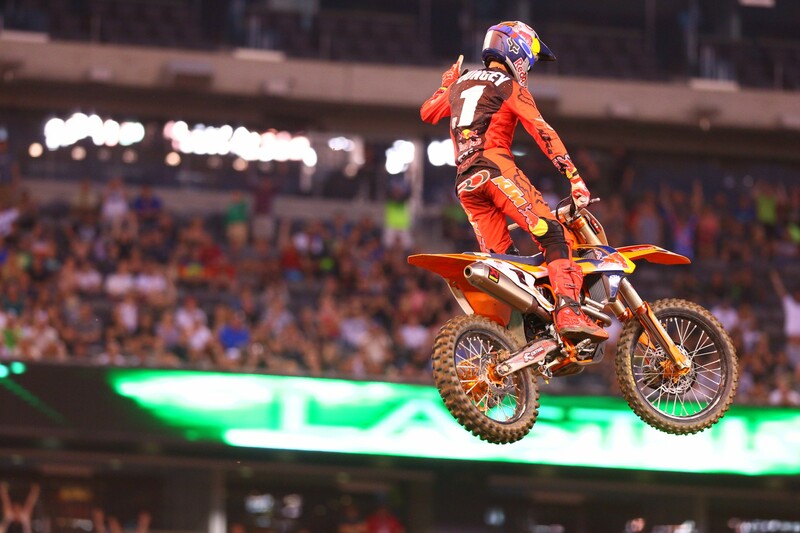 Dungey was first in qualifying, first in his heat race, and first in the main event. But it didn’t come without some drama. 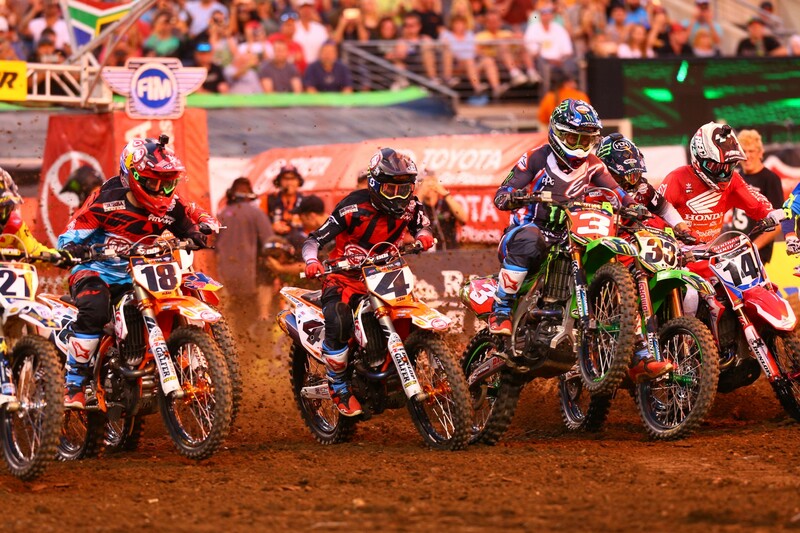 Tomac and Dungey both got mediocre starts, crossing the line in about fifth to 10th place. They battled with each other for a few corners until Tomac solidified his position ahead of Dungey and started working his way toward the front. Then the one thing Tomac needed to avoid happened—he made a mistake. Just before the first triple he tucked the front end and was slow to get going as he had to restart his bike. He got back going around 16th or 17th place and just like last weekend the charge was on. Or so we thought. This time the same level of charge didn’t materialize. Tomac had some speed, but also made some more big mistakes. Also, the field was fairly spread out by the time he started to find his pace again which made working through the pack much more difficult. Tomac eventually worked his way up to 11th place, but then made another costly mistake on the same triple and lost two positions. Tomac quickly got those spots back, but he made another error and ended up working his way up to eighth place. He wasn’t available for a comment after the race. While all this was going on Dungey was out front battling with his Red Bull KTM teammate and training partner Marvin Musquin. Musquin shadowed Dungey for the first 10 minutes of the main event before making his way into the lead in the rhythm section before the finish line. It appeared team orders weren’t in play as those extra three points for winning would have been huge for the defending champion. Musquin wasn’t able to pull away from Dungey, though, and the entire stadium was buzzing, wondering if Musquin would let his teammate past him for the points. Lo and behold, Musquin went wide in a turn after the whoops, and Dungey went past to take the lead and the win. 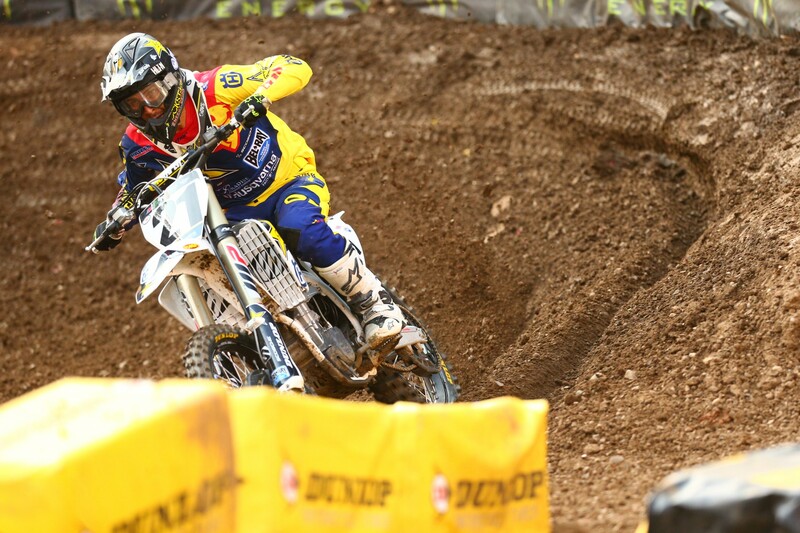 Musquin defended himself from accusations of team tactics after the race. “I was behind Ryan, and I got around him, so it’s not like I was behind him just waiting,” he said. 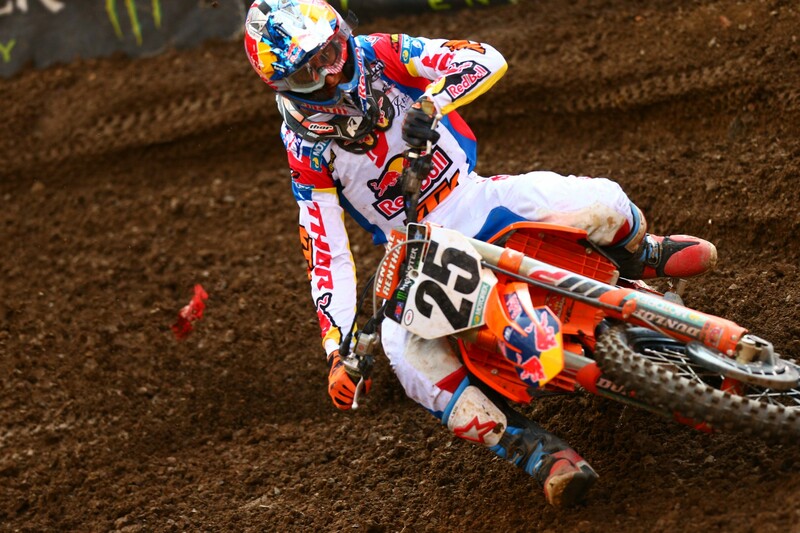 “The main event wasn’t a good start, I was pretty far back, I don’t know how I tucked in there like I did,” said Dungey. “I was third, then Jason [Anderson] made the mistake, then Eli made the mistake, and I was like, “Just don’t make mistakes.” It was a patience track. Marvin was there and his lines were better than me, so I thought maybe I would let him by, and he did [have better lines]. Dungey is heading into Las Vegas with a nine-point lead, which is massive for a rider that rarely finishes off the podium. This is why it’s so hard to beat Dungey over the course of a championship. Tomac has been flying, but Dungey’s worst result has been two fourth place finishes. Tomac’s worst finishes have been fifth, sixth, eighth, 15th, and eighth. They clearly have two different racing styles, but we still have the closest championship battle we’ve seen since 2011, and like we’ve seen multiple times this year, anything can happen. Jason Anderson finished the race in third which is his fifth podium of the year. He was leading the race early before making a mistake after the first triple and going down. 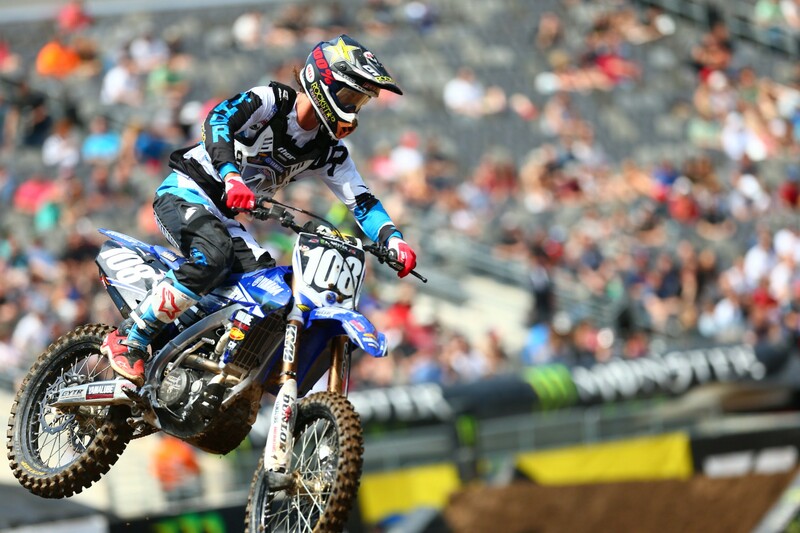 Four seconds behind Anderson came Davi Millsaps in fourth place. This marks the best finish of Davi’s underrated season and it was his fourth top five the season. He currently sits sixth in points behind his Rocky Mountain ATV/MC-WPS-KTM teammate Blake Baggett, who finished behind Davi in the race, in fifth. Earlier this week, our own Aaron Hansel gave the rundown for possible 250SX East Region Championship winning scenarios for Joey Savatgy, Jordon Smith, Zach Osborne, and Adam Cianciarulo. Here’s what he said was the attack plan for Osborne, who before tonight, trailed Savatgy by 12 points. Well, Osborne did his part and he caught some breaks, too. He started around iseventh place after lap one, and with Savatgy leading the race, Zach had nothing to lose and put his head down to catch the leaders. It may not have been as massive of a comeback as Tomac’s last weekend in Salt Lake City, but he did display a similar type of dominance. He used incredible corner speed and slick passes in a corner after the whoops and on the start straight to move his way past a number of riders including Cianciarulo, Dylan Ferrandis, and even Savatgy to take the lead. He would go on to win the race in an impressive ride. On the podium Savatgy did mention that the transitions in between jumps were really soft and it was easy to drag a peg off the face of the jump. 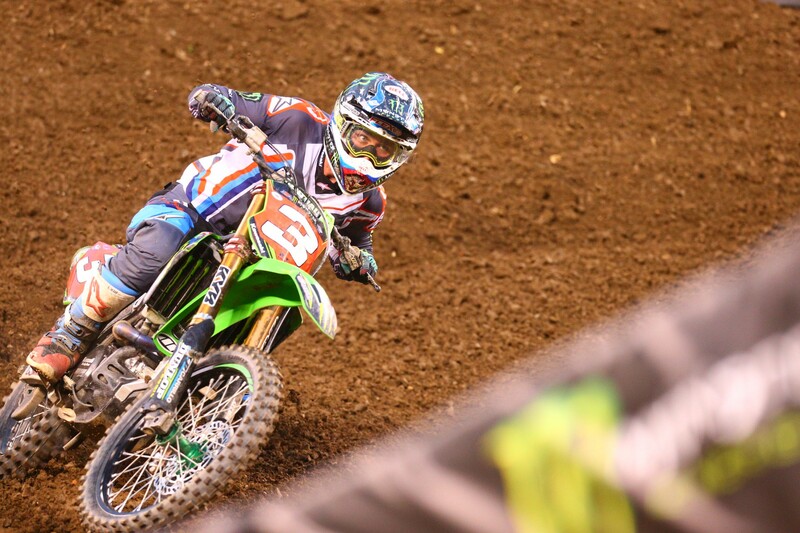 In the end Savatgy finished third, but that could get even worse if the AMA decides to rule against him. 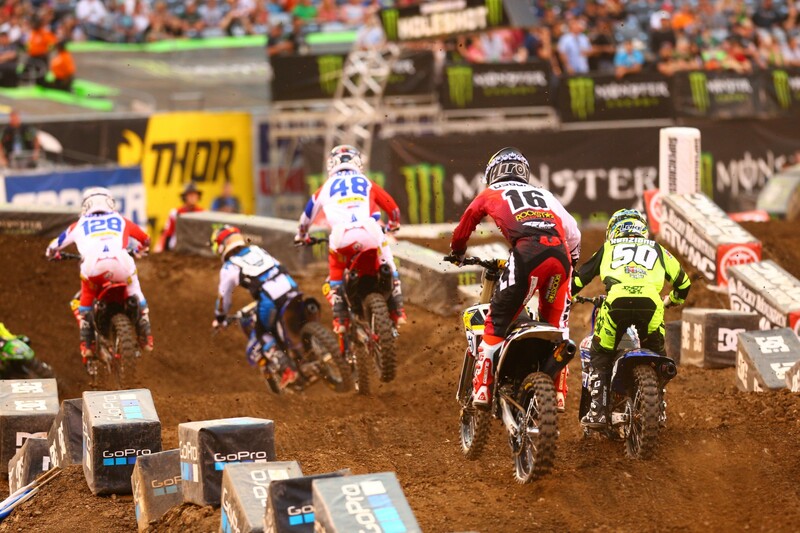 Jordon Smith finished behind Savatgy in fourth but could be poised to hold the red plate if Savatgy is penalized. Osborne is one point further behind Smith. Dylan Ferrandis got his second podium of the year and was visibly pumped with his performance when the race was over. After his first supercross podium in Daytona, Ferrandis said, “The first one ever I think it’s not possible to win. I’m learning. I think I’m learning fast. I just have to wait and try to keep me a little bit more calm sometimes and it will come. I really enjoy ride [riding] supercross but it’s really a different world than the GP series.” Winning wasn’t the goal for Ferrandis this year and it’s clear the Frenchmen is still learning, but he is learning fast. Smith’s main event started out rough with a poor start and he wasn’t able to work his way up to the front as quickly as Osborne. After Savatgy re-entered the track directly in front of Smith, it looked like Smith was going to make a run at him, but mistakes late in the race such as casing the first triple, kept him from gaining any ground.